Photo Courtesy Of: Bo Prieskorn of BP Outdoor Photography. 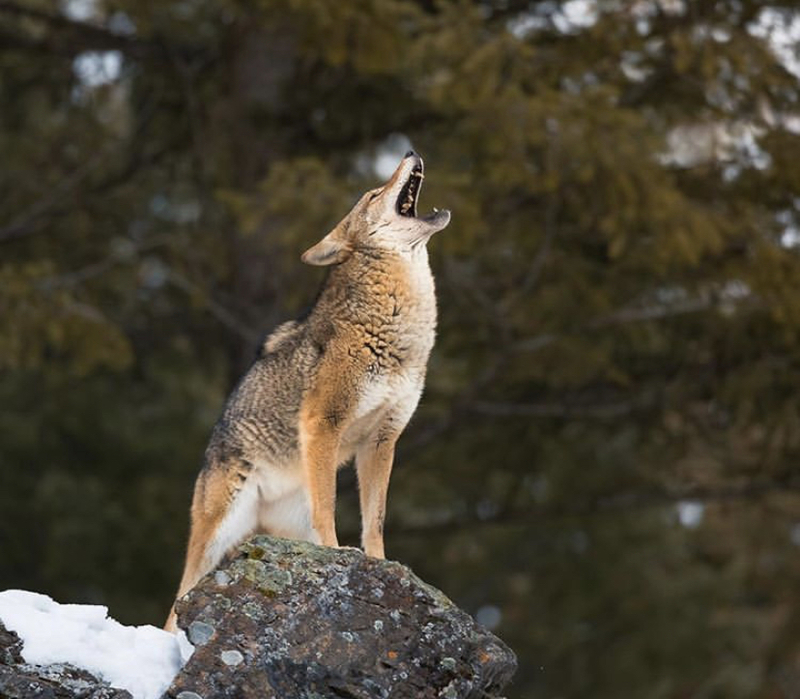 More times than not, coyote hunters will veer away from public land, believing the stereotypes that it is overrun with hunters or that any surviving coyotes have already left the land. Do not, and we repeat, do not believe these stereotypes, as public land can often be very valuable, you just have to go in with a plan. Below is a list of 3 things you cannot forget when you are hunting for public land coyotes. Although there are thousands of things we could elaborate on, we feel that with these 3 crucial tips, you are sure to see success on public land. During the late season on public land, you can often see coyotes using rivers, streams, cricks, etc. as a guide of where to travel. This is almost like their “highway” and helps them navigate where to travel, and how to find their way back to areas of interest when the forest isn’t filled with as much wildlife as it was in the early season. Therefore, use your HuntWise maps to help you get into a coyotes realm of thought, and navigate in the way that they might be during this time of year. Locate areas of interest when you are scouting before the hunt, and make sure to mark them, or better yet, make a walking path. Sticking with those areas the coyotes will shift their focus towards is crucial in your success on public land. Secondly, we feel that it is both very important and very beneficial that you find a deer path running through your public land area. If you can locate any signs of a whitetail, you know you are in business for a successful coyote hunt. Usually, coyotes will trot along the trail, searching for their prey, therefore selecting thick coverage near a deer run can be both very beneficial to seeing coyotes and crucial to keeping your hidden appearance. Now, this final tip goes truly for any hunting, but especially on public land where the animals are not managed as easily, it is important that you get into the area that you are hunting, and into your hunting position, undetected. With that said, you must be very careful with both your entrance and your exit. That means scouting beforehand so you can figure out what approach will best suit your hunt. 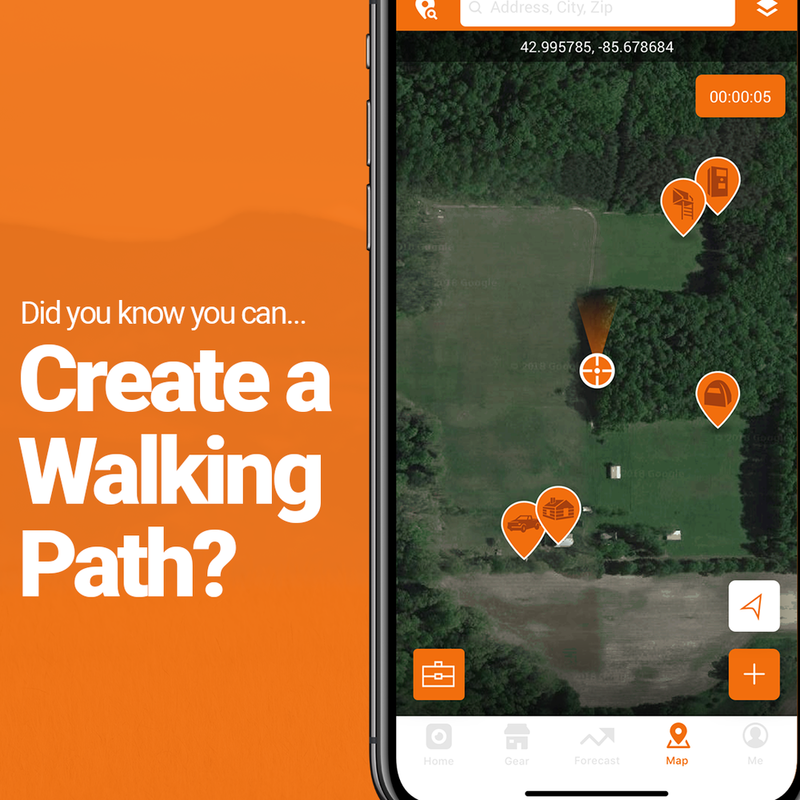 While scouting, pay attention to low areas and peaks, take note of what paths best make sense so you do not scare animals on your walk in, and make a walking path on your HuntWise app so you remember your path of entry and exit. Taking the same path every time and setting up quickly for your hunt will be crucial to your success. As always, there are thousands of tips that could be elaborated on, however, we feel that these 3 strategies are a good start to helping you see success afield. Having a game plan, selecting thick coverage, and using your HuntWise mapping tools will not only leave you more prepared pre-hunt, but happier post-hunt once you harvest a nice ‘yote.